Are you looking for a video editing software convert your raw clipping and images into stunning videos? Well, there are a lot of video editors out there that can get the job done. But most of them are very complex to use and involve a lot of technical terms. The video editor we are talking about in this post is simple, easy to use that lets you make beautiful videos from your raw content. 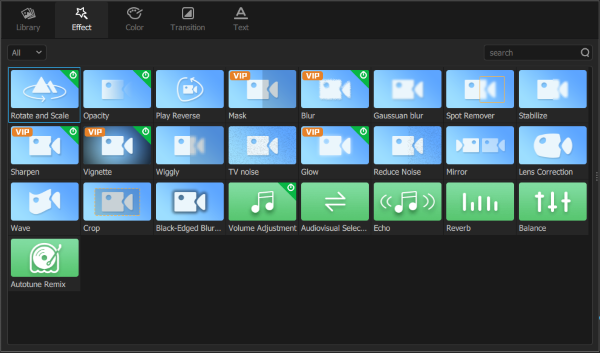 The video editor in the discussion is called PawEditor, and its features have been discussed below. To start with, the editor has a beautiful user interface. All the features are strategically placed to make the UI look cleaner and subtle. 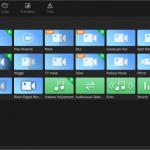 Also, the tool has a selective set of features as compared to other professional tools which make this the best tool for day to day video editing. The interface of PawEditor comprises of a timeline, a preview area, and another area where you can import raw data and preview effects and clipart. A video editor is as good as the number of formats it can work with. And to no surprise, the program supports most of the videos, photos, and audio formats. You can import a single file or bulk import your files into the project’s library. Once you have all the raw content ready, you are all set to start creating your video. 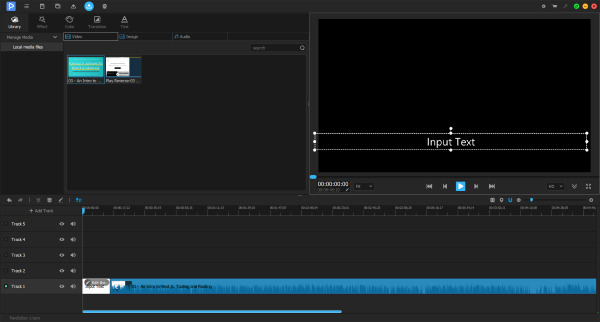 The most important part of any video editor is the timeline. The timeline is responsible for the order of clips, images, audio tracks and what not. PawEditor has got a useful timeline. You can start dragging your clips from the library onto the timeline. You can arrange these videos, trim them or edit them straight away. Moreover, you can de-attach the audio in order to edit the audio separately. PawEditor supports multiple simultaneous timelines for videos, audios, and pictures. This comes very handily when you want to add background music or remove existing audio from a video. The timeline also gives you other features as video positioning, scaling and rotation. The timeline can be easily zoomed in and out for more comfortable video editing experience. PawEditor comes with a variety of useful effects for your video clips. The effects include everything ranging from opacity, blur, spot removal, sharpen to mirror and lens correction. The tool also includes audio effects such as volume adjustment, echo, reverb, etc. The effects can be applied as an image editor. You just need to drag an effect and place it over a video clip you want to apply it to. The resultant video can directly be previewed in the preview pane. These are a special type of effects that are applied to the entire length of the video. Color effects include brightness, contrast, black and white, sepia, retro, invert keys, saturation, etc. 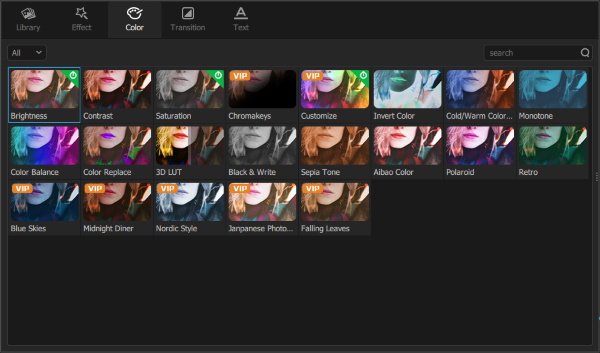 The strength of each color effect can be configured along with other digital parameters. These effects are really useful and make the videos look even better. Transitions are something that you use between two videos, and PawEditor has plenty of them. The transitions offered by default are simple, clean and very usable. This option lets you add text and captions on top of your videos. A really useful tool to add important labels and information on top of your video. Export capabilities of a video editor are as important as import capabilities. The program can save your video project in 7 different popular formats. You can also control other parameters such as resolution, aspect ratio, video bitrate, frame rate, and sample rate. The saving process happens at a good speed, and the final videos are completed in no time. PawEditor is a very good video editor for day to day video editing requirements. It is very simple to use and has a very clean UI. The tool makes the entire process of collecting the raw content to saving the final video a breeze!